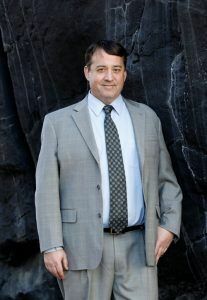 Michael J. Rosenberg, incoming President of the Colorado Trial Lawyers Association, brings more than 20 years of litigation experience to the Gold Law Firm, with particular emphasis in the areas of insurance coverage, insurance recovery, insurance bad faith, and complex personal injury. Mr. Rosenberg graduated from the University of Denver College of Law in 1996, where he served as the articles editor of the law review, was selected to the American Bar Association Trial Team, and graduated in the top 5 percent of his class. After graduation, Mr. Rosenberg served as law clerk to the Honorable Steven C. Briggs of the Colorado Court of Appeals. Mr. Rosenberg now dedicates the bulk of his practice to representing policyholders, both corporate and individual, in disputes with their insurers. Mr. Rosenberg has prosecuted numerous insurance coverage and bad faith cases against insurers through verdict and appeal, and over the past ten years his insurance practice has produced more than $30 million in recoveries. Mr. Rosenberg has lectured widely in the areas of insurance coverage and insurance bad faith, and has authored several articles and book chapters in these same areas. Mr. Rosenberg is also frequently called upon to provide expert testimony in the area of insurance claim handling, and he has been qualified to testify and has provided expert testimony in both the state and federal courts in Colorado. Mr. Rosenberg is also a Top 100 rated Super Lawyer, and was named a 2019 insurance litigation “Lawyer of the Year” by Best Lawyers. If you have an insurance dispute or have been injured due to the negligence of another, our law firm can provide you a free case evaluation. In most cases we can pursue your claim on a contingency fee basis. This means that if we do not collect compensation for you, you do not pay. To learn more about Michael and the Gold Law Firm call (303) 694-4653 today.